We DO NOT know where they are going but trust in God’s plan. Please share this news so people can enjoy the wonder and awe of what IS God’s love for each of us! This is the perfect gift for this holiday season…and it’s free! My Father’s Love Foundation was established for the purpose of housing and protecting Ed Lantzer’s wood mosaic panels as well as for coordinating and displaying the panels for the world to see. A Board of Directors was created to oversee the Foundation and to make sure that Mr. Ed’s wishes for the panels were brought to fruition. 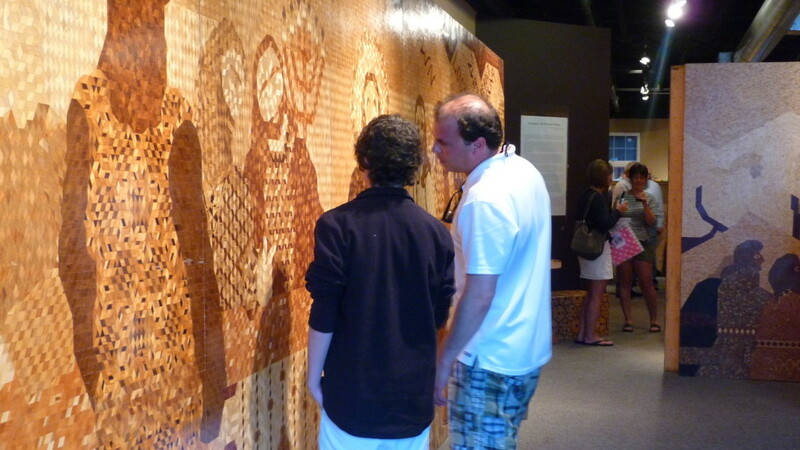 The panels are made up of small wooden diamonds cut either on a 30 or a 60 degree angle. They are cut with four different saws so that their dimensions are identical. The wood is finished with simple varnish – no painting or staining changes the natural hue of the material. Ed’s father taught him this form of art called Marquetry— in which small pieces of wood are overlaid onto another wood surface to form a picture—and goes back eight generations in Ed Lantzer’s family, but his family tradition dictated wood pieces cut on a 45 or 90 degree angle. These pieces of wood are the building block’s of Ed’s work. Carefully crafting each mural, Ed did not do any design work ahead of time. He didn’t sketch, he simply created. Want to learn more about Ed and his story? 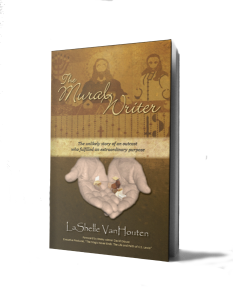 The Mural Writer, written by LaShelle VanHouten, is a moving memoir about a man who believed he couldn’t love, yet was chosen for an amazing purpose to teach us all about love through the art of marquetry. The Mural Writer is now available on Amazon. Get yours today!  My Father's Love Foundation was founded to help get Ed's Murals and the inspiring story behind them out to the public. For more information about My Father's Love, contact us. Interested in having Ed's Murals displayed at your church, gallery or museum? We are looking for qualified organizations to help spread the miracle of Ed Lantzer's art across the country.